Pentland Chaussures Ltd 2017. LACOSTE and the crocodile device are registered trademarks of and used under licence from LACOSTE S.A and its associated companies. For Autumn / Winter 2018, Lacoste refuses to let rain stop play. With winterised shoes and sneakers, the Keep Playing collection is designed to defy the harsh weather conditions and take on-court energy to the streets. There is no off season. The women’s Explorateur range introduces the Explorateur Hi, a premium reinvention of Lacoste’s iconic high-top for winter. With a raised outsole for grip on any surface and gold-foil tongue branding for standout appeal, pair with slim cut denim and a functional coat for the ultimate winter glamour. 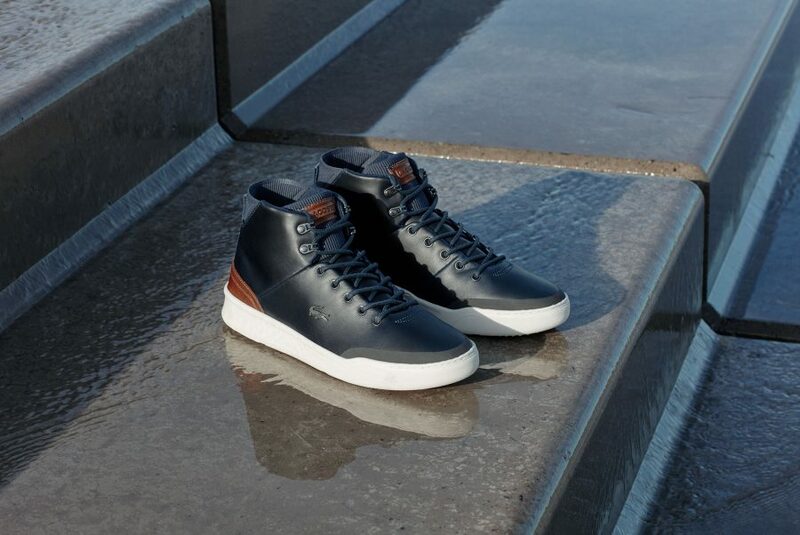 Then there’s the Explorateur Hydro, featuring Hydroguard® waterproof leather, sealed seams and a neoprene bootie for exquisite weather protection and warmth, all finished with Lacoste’s unmistakeable metallic croc. Straightset Insulate brings a ThinsulateTM lining to the classic silhouette of a low-cut sneaker, while the Eyyla and Eyyla Chukka take their inspiration from the tennis court, but add a fashion-forward twist, with clean lines, premium materials and a piqué mesh sock lining for absolute comfort, right through till spring. Be bold, and tackle winter feet first. For men, the the Keep Playing series is built with technical materials and branded linings to keep you pushing forwards in style, even in severe winter conditions. With a standout combination of Hydroguard® waterproof leather, ThinsulateTM insulation, and a rugged outsole for enhanced grip, the Explorateur Hydro creates confidence fit for urban exploration. 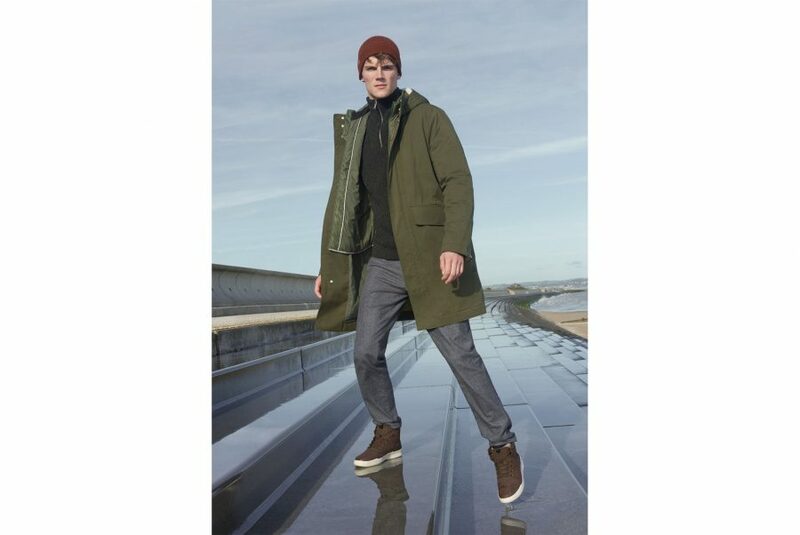 The Explorateur Classic continues its unchallenged journey through the city, offering water resistance, warmth and versatility, along with premium materials and a versatile silhouette that will pair perfectly with your whole winter wardrobe. The Esparre Winter Chukka brings water resistance to a versatile chukka style, while the Joggeur 2.0 and Menerva Sport adopt the unrivalled silhouette of a low cut sneaker and a winterinspired colour palette. Don’t compromise on style to stay warm and dry; have confidence, and take on the elements in Lacoste. Kids need no extra impetus to keep on exploring through winter, but with an Explorateur Classic boot of their own, there really is no reason for little Lacoste fans to stay indoors.